AppointmentsMake Appointments Online or Call Us! Providing friendly and experienced pet care in Pierce County since 1999! 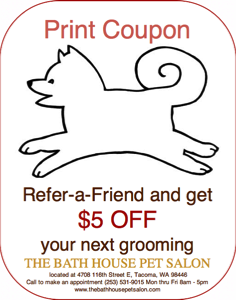 Print out the coupon below, to receive $5 Off your first grooming at The Bath House Pet Salon! 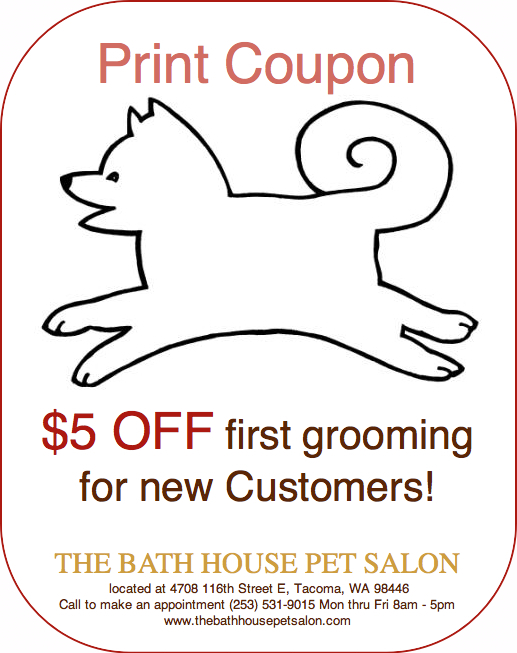 We are excited to have you as a new customer! 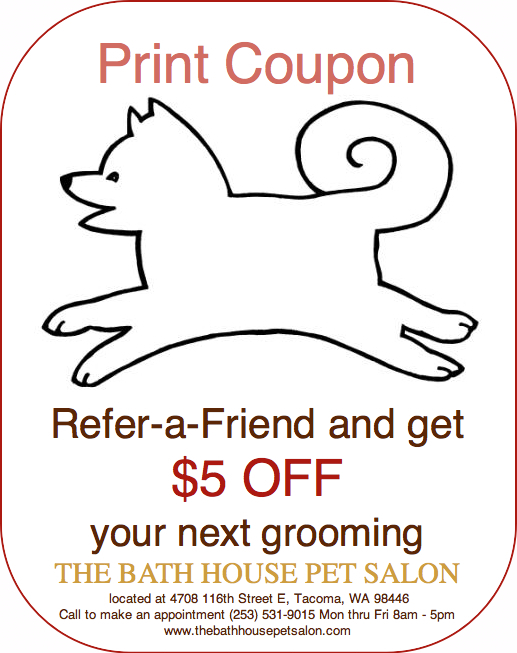 Existing customers will receive $5 off their next grooming if a friend they have referred to us comes in for a grooming appointment. 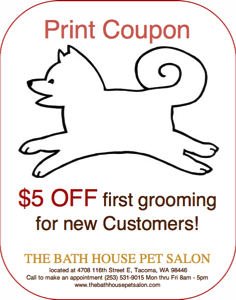 Save 10% off Full Service grooming for customers 60 and over!